Monogramming is synonymous with the storied heritage of Brooks Brothers, where, in 1953, U.S. Senator John F. Kennedy, before his wedding to Jacqueline Kennedy, found gifts for his groomsmen: monogrammed Brooks Brothers umbrellas. Today, the cachet of Brooks Brothers monogrammed offerings endures, as more people regard their initials as their personal logos, thus giving grooms a clever gift idea for members of their wedding parties. 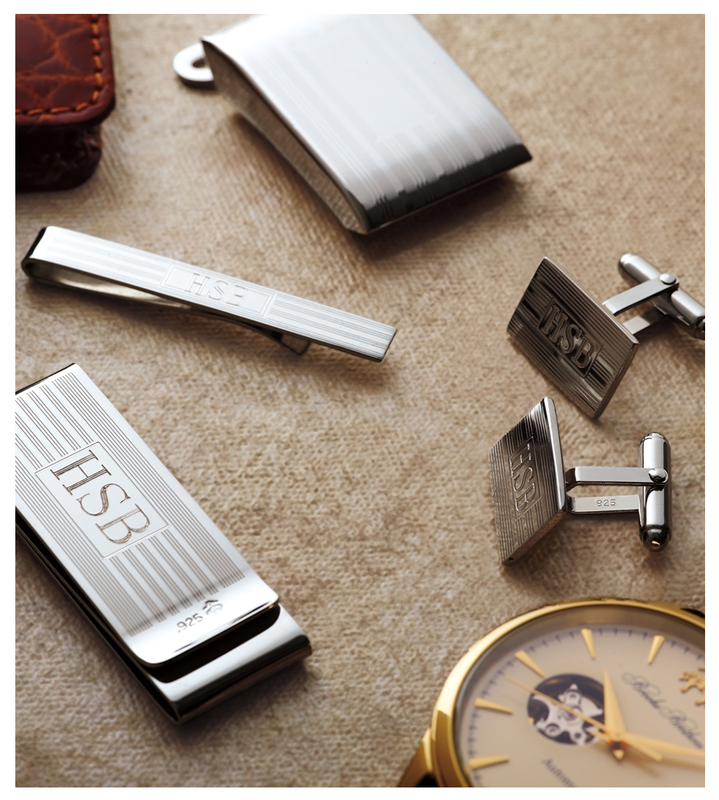 Delight your best man and groomsmen with their initials on Brooks Brothers accessories they’ll cherish forever. 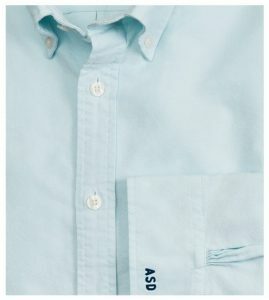 Cuff links, tie bars and belt buckles with engraved monograms are only the beginning—Brooks Brothers will embroider monograms on clothing such as dress shirts, T-shirts, polo shirts and broadcloth pajamas, in a variety of typefaces, for $12 per item. Be sure to order early—and allow an additional two to three weeks for delivery for monogrammed garments. For online orders, include specific instructions for monogramming, or give us a call at 800-274-1815.